That’s the word to describe the Bassmaster Elite Series event that just went down on Florida’s famed St Johns River. 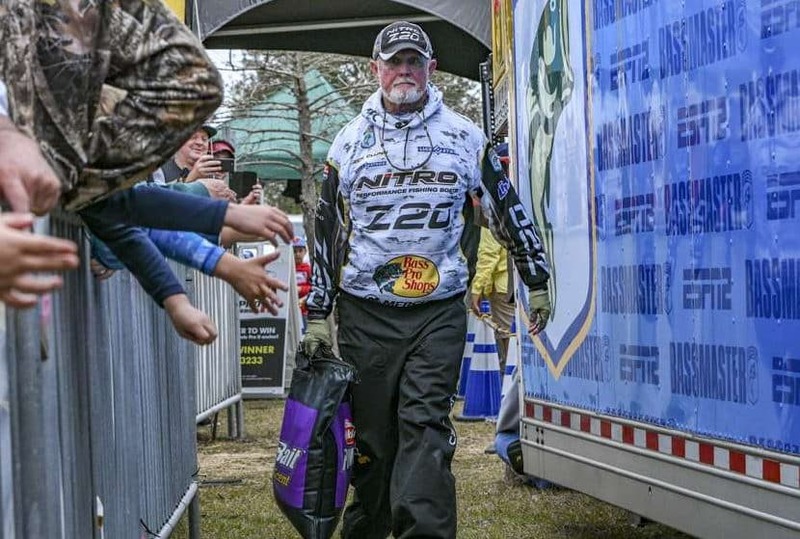 Following the most disruptive offseason in the history of professional bass angling, the tournament organization with the deepest roots returned to a fishery where Rick Clunn made history in 2016 as the eldest angler to ever win a Tour-level tourney. History repeated itself this weekend as Clunn broke his own record for longevity by reclaiming the St Johns River Elite Series title at age 72. The river itself put on a performance for the ages. Not since the glory days of Falcon Lake have we seen so many 30-plus-pound bags. Clunn neared the century mark with a total weight of 98 pounds, 14 ounces over 4 days. He had to do so if he wanted to win. Strong competition on one of the nation’s best big bass factories demanded it. His two closest pursuers posted more than 95 pounds apiece – Chris Johnston at 95-2 and Mark Menendez at 95-1. An average weight of 20 pounds per day landed Scott Canterbury in 9thplace. The new era with its slimmed-down Elite Series field featured a huge number of fat weigh bags. The St Johns also wore a new look. Miles of eel grass that have always rolled out before the anglers like a boundless welcome mat are gone in the continued wake of a direct hit from Hurricane Irma in 2017. Bass have relocated to dock pilings and whatever emergent vegetation they find in the now-more-heavily-stained shallows of the wide, tidal waterway that oozes northward. One constant that remains is Clunn, a pioneer who helped build the sport of professional bass fishing the first time around. With men such as him on the trail, joined by a host of journeymen pros and more than a few promising young rookies, the future of the Bassmaster Elite Series looks bright. Menendez was another crowd favorite. The veteran pro took 3rdplace, an ounce behind FLW Tour transplant Johnston of Canada. Cliff Pirch added more star power to the field in Sunday’s final round. He also put a stout sack on the scale Saturday before busting a huge bass on a topwater lure for the live internet audience Sunday morning. To say this tournament was entertaining would be an understatement. With insightful commentary on Live, it was also very educational. 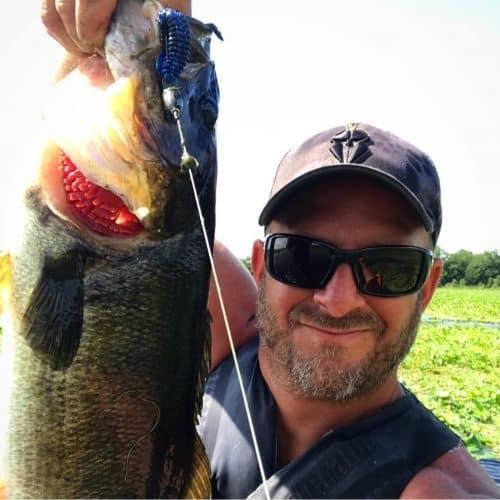 And guys like Livesay and Walters are only strangers until they make an appearance such as they did this past week with hours of live coverage on Bassmaster.com and stage presence before thousands, along with the television coverage to come. “They’re just guys you haven’t heard of – yet,” said Menendez, noting the strong talent level on this tour. On the Elite Series a young guy can build his brand fast and Menendez is certain that will happen as we get to know more of these pros this coming week at Georgia’s Lake Lanier. Practice has already begun. Keep an eye on Bassmaster.com’s leaderboard this week. It will be well worth watching. Vance McCullough is an avid Outdoorsman and Football Coach from Jacksonville, Florida. You can Follow Vance here on Facebook or here on Instagram. Especially as a Putnam County Commissioner’s wife and all that we strive to do and promote in our community, we “thank you” for being a part of Putnam County history! 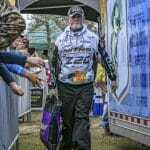 The Bassmaster Elite Series at our Palatka Riverfront was an awesome experience for so many – including myself!